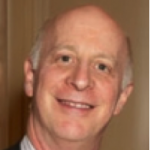 Paul Goldberger is a Contributing Editor at Vanity Fair. From 1997 through 2011 he served as the Architecture Critic for The New Yorker, where he wrote the magazine’s celebrated “Sky Line” column. He also holds the Joseph Urban Chair in Design and Architecture at The New School in New York City. He was formerly Dean of the Parsons school of design, a division of The New School. He began his career at The New York Times, where in 1984 his architecture criticism was awarded the Pulitzer Prize for Distinguished Criticism, the highest award in journalism. He is the author of several books, most recently Building Art The Life and Work of Frank Gehery, published in 2015, Why Architecture Matters, published in 2009 by Yale University Press; Building Up and Tearing Down: Reflections on the Age of Architecture, a collection of his architecture essays published in 2009 by Monacelli Press, and Christo and Jeanne-Claude, published in 2010 by Taschen. He is now at work on a full-length biography of the architect Frank Gehry, to be published by Alfred A. Knopf. In 2008 Monacelli published Beyond the Dunes: A Portrait of the Hamptons, which he produced in association with the photographer Jake Rajs. Paul Goldberger’s chronicle of the process of rebuilding Ground Zero, entitled UP FROM ZERO: Politics, Architecture, and the Rebuilding of New York, which was published by Random House in the fall of 2004, and brought out in a new, updated paperback edition in 2005, was named one of The New York Times Notable Books for 2004. Paul Goldberger has also written The City Observed: New York, The Skyscraper, On the Rise: Architecture and Design in a Post-Modern Age, Above New York, and The World Trade Center Remembered. Mr. Goldberger lectures widely around the country on the subject of architecture, design, historic preservation and cities, and appears frequently on film and television to discuss architecture and design. He has also served as a special consultant and advisor on architecture and planning to several major cultural and educational institutions, including the Morgan Library in New York, the Corcoran Gallery of Art in Washington, D.C., the Carnegie Science Center in Pittsburgh, the New York Public Library, the Glenstone Foundation and Cornell and Harvard universities. He is a graduate of Yale University, and is a trustee of Kenyon College in Gambier, Ohio; the National Trust for Historic Preservation in Washington, D.C.; the Forum for Urban Design in New York and The New York Stem Cell Foundation (NYSCF). He is married to Susan L. Solomon, and they are the parents of three sons: Adam, a composer for film and television in Los Angeles; Ben, a journalist in New York, and Alex, a sports journalist with NBC in New York.